Sun Africa Hotels, one of the fastest emerging hotel chains in Kenya, has been using eRevMax solutions to benefit from real-time channel management powered with business intelligence data. “We’re one of the fastest growing hotel chains in Kenya and offer some of the finest hotels and lodges in East Africa. With Channel Manager Web by eRevMax we are maintaining real-time availability and dynamic pricing based on analytics provided on LIVE OS. This has helped us to improve our online presence by maintaining real-time room availability up to the last inventory across all distribution points in resulting better occupancy,” said Rahul Sood, Group Managing Director – Sun Africa Hotels. Located at some of the most popular tourist places in Kenya, Sun Africa Hotels manages 8 leisure properties. RateTiger’s 2-way XML connectivity with all leading OTAs in Europe and North America, two of their biggest international markets, is helping Sun Africa Hotels to update rates and availabilities across their online distribution channels in real-time ensuring online sales optimization as part of its growth plan across East Africa region. Mexico, with over 32 million international tourist arrivals, is the 9th most visited country in the world, and growing at over 9% per year. Tianguis Turistico – one of the biggest travel and tourism shows in Central America takes place annually in Mexico. The 42nd edition of the show is scheduled from March 27th to 30th at Expo Mundo Imperial in Acapulco, Guerrero. The event is expected to draw nearly 1,000 companies from 80 different countries. I am very excited to attend the show like every year as it gives me an opportunity to meet with peers and partners. The show is meant for serious buyers and sellers who are looking to conduct business. It provides a perfect platform for technology company like ours to showcase our innovative solutions to a wide audience. We already have some key meetings lined up for the show and we are excited to present LIVE OS to potential partners. We also have a range of attractive bundle offers for hotels. eRevMax is widely known for its channel manager and rate shopping brand RateTiger. The company offers stable products with over 99% uptime. While other companies struggle to offer continuous connectivity, eRevMax has invested in building a robust infrastructure to provide hoteliers with uninterrupted service over the last 15 years. To book a meeting at Tianguis Turistico, contact marketing@erevmax.com today. Julian Lindt is the Regional Sales Director for Latin America at eRevMax and will represent eRevMax at Tianguis Turistico. Yes. You read this correct. Last year hotels across the globe generated over $2.1 billion online revenue using eRevMax solutions. This is an increase of over 11% in reservation revenue as compared to the previous year. Hoteliers continue to increase online bookings through eRevMax platforms leveraging its seamless connectivity with over 300 global and regional OTAs and partners. 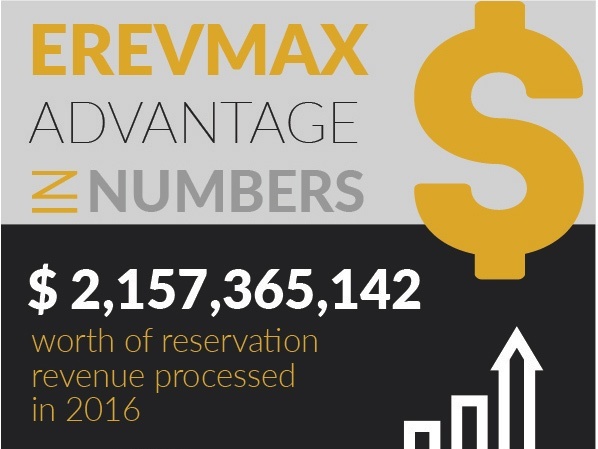 eRevMax published these figures based on the revenue generated by hotel clients using its reservation delivery services through RateTiger, RTConnect and LIVE OS solutions. 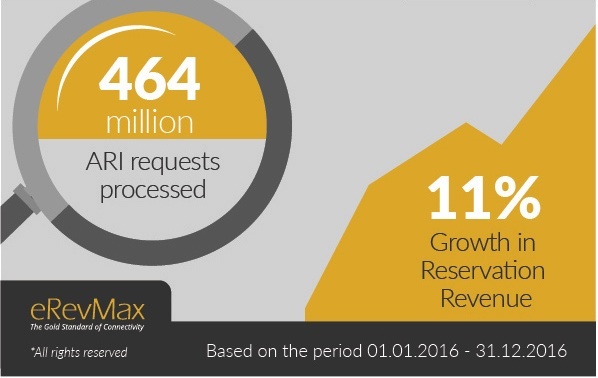 The company also processed 464 million ARI requests in 2016 initiated by clients on its robust and stable systems. eRevMax continues to build upon its already strong channel partner base to offer sophisticated real-time revenue opportunities to the hospitality industry. This includes solutions for the independent market, the mid-market and scaling up through the large, global hotel groups. eRevMax’s Channel Ecosystem facilitates quality, certified connectivity and relationship management services to support complex revenue generation strategies. See full story at eRevMax website. In Five Things for Hotel Revenue Managers’ Checklist in 2017 – PartI; we identified what hotels need to capitalize on for stronger performance in the coming months. Here we present to you the second part of this series – read on! Online has made people more impatient, more demanding. I posted a query to an Airbnb host, and received a message within an hour. Today’s travellers want quick answers and simple processes – a phenomenon Booking.com calls ‘instant gratification 2.0’. According to an American Express survey, “78% of consumers have bailed on a transaction or not made an intended purchase because of a poor service experience.”Customer friction has a negative impact on the experience, and can lead to an overall negative feeling about the brand. With major OTAs and Airbnb investing hugely on guest experience with personalized trip planning, and easy cancellation features, hotels need to up their game. As booking moves to mobile, hotels can’t afford to not to have a responsive, mobile friendly, content rich and secure website for more conversions. Hotels have been struggling to handle the huge unstructured customer data they gather from online and offline channels. Advanced revenue and reservation analytics like pace, price-per-conversion or optimal position help hotels to accurately estimate occupancy and optimize ADR, based on season, weather and special dates. 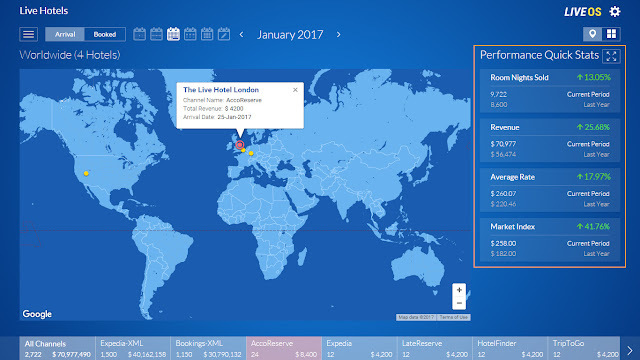 Platforms like LIVE OS from eRevMax, provides revenue and reservation insights along with actionable strategic inputs to help hotels implement total revenue management. As technology moves towards platform based model, hotel industry needs to look for a platform which can bring all their technology tools in one place. The platform based approach unifies all operation tools like PMS, OTA, Channel Management, Market Intelligence, Review Management etc and allows for the integration of external tools, channels, and vendors – providing an opportunity to leverage technology holistically. Yes, investing in technology comes with a price tag, however that doesn’t mean just not doing anything is an option. 2017 is going to be the year when online finally overtakes offline in Europe. We all have been listening to online becoming big, and getting bigger – but the reality was that offline travel bookings continued to get the lion’s share. All that is set for change though, as digital travel penetration in the continent finally crosses the halfway mark to reach close to 52% of all bookings by end of 2017, per PhoCusWright. With North America, also closing in to the tipping point, and Asia Pacific catching up faster than the average with 23% growth in digital sales, it’s time for hotels to take corrective actions. In this article, we share what we think hotels need to capitalize on for stronger performance in the coming months. Rate intelligence for years have focussed on shopping rates for competitor set selected by the hotel. While monitoring rate of local competitors is vital, focussing on a small subset of the overall market, hotels often overlook the larger picture, missing out the demand data on most productive sources of business in their market. 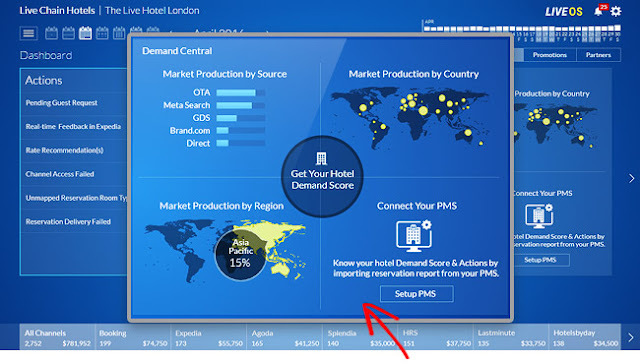 Advanced demand analytics solutions, like Demand Central, helps hotels measure their performance relative to their market performance from vital sources, like channels and regions and suggest situation-specific and channel-specific actions and alerts to increase business. For long, hotels and OTAs have been in a tumultuous frenemy relationship. For hotels, OTAs were a disruption which they had to accept, however reluctantly. With the newest disruption looming over hotel industry in the form of Airbnb, hotels need more than ever to improve their presence in OTAs. With more people preferring experience over everything when it comes to travel, and Airbnb slowly consolidating its presence even on the luxury market, no hotel is in safe zone now. OTAs with their reach and marketing power can help hotels to increase exposure and improve online business. In 2017, about 52% online hotel bookings in USA and 71%% of all online bookings for independent European hotels will be made on OTAs. Most often they are the first point of call for potential guests. Studies suggest, OTAs spend an average of USD 300 per hotel on promotions and marketing. For hotels to compete with OTAs on their own in digital marketing, the cost can go up to USD 7,000 to USD 10,000. The trade-off between OTA commissions and direct customer acquisition cost remains a paradox for many hotels. While larger brands with a substantial marketing budget can compete with OTAs on visibility and presence, independent properties have to depend on OTAs for brand awareness, given their budget constraint. Stay tuned for part two of this series which will be posted in next week. As a hotelier, you know that engaging with your guests is crucial for developing loyalty and converting them into your biggest brand ambassadors. We know you want to monitor each and every conversation, and respond to it. That’s why we are pleased to present to you the world’s largest Guest Review Management platform – Trust You in LIVE OS. You can now access your guest reviews and ratings directly on your LIVE OS dashboard. From booking your hotel until after the guests check out, TrustYou’s products help hotels leverage guest feedback to impact the entire guest journey. It is the undeniable truth that guests are the King in hospitality sector and in this age of digital era they rule the industry. You’d perhaps agree that reputation has a positive correlation with the hotel’s overall Average Daily Rate and revenue – thus we’re happy to bring Trust You in LIVE OS. This will help hotels to access guest reviews and ratings collated by TrustYou, directly on the LIVE OS platform for informed decision making and take actions to improve their ratings. 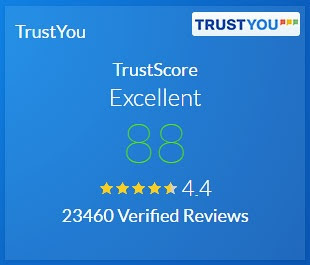 TrustYou is the world’s largest guest feedback platform that analyzes millions of travel reviews scattered online and transforms them into actionable insights and data visualizations for hotels and travel intermediaries worldwide. You can provide guests with better services and enhanced offerings by monitoring, surveying and acting on these reviews and feedback. TrustYou helps intermediaries to improve travelers’ search-shop-buy experiences by providing structured information like Meta-Reviews. You can also turn your opportunity into business by leveraging reputation management tool by TrustYou directly from your LIVE OS dashboard. Want to know more how it can help your hotels to improve guest satisfaction quotient? Contact us today!